One of New(to)Town Collective's first productions (co-produced with Escaping Goat Productions) which brought the remount of Donut Holes in Orbit: a play by Prince Gomolvilas to the UFV's Directors' Festival 2014. Original production in Vancouver was directed by Co-Founder Davey Calderon in SFU Directing Projects 2013. 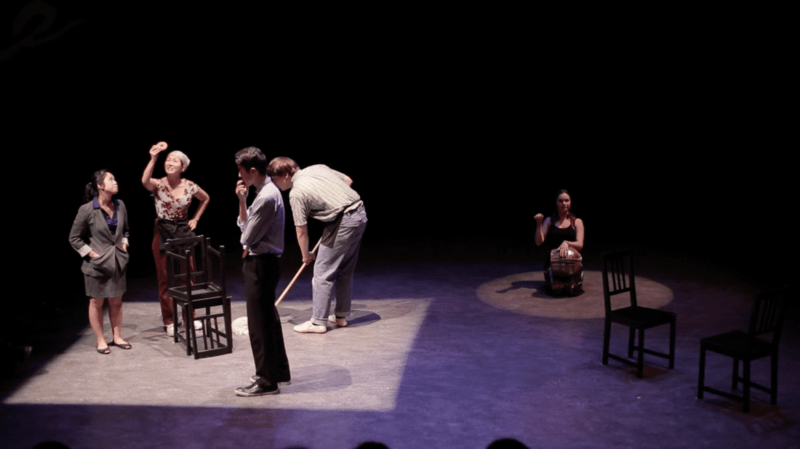 Questioning the tensions that both immigrants and first generation Americans face in North America, the play explores these feelings with humour and delicacy. More importantly we face the common feelings of the human condition: heartbreak, struggle with our dreams and the need to belong.